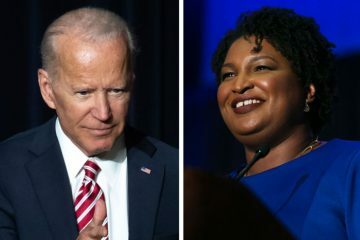 Stacey Abrams came to the defense of former Vice President Joe Biden, declaring that perfection cannot be a litmus test as he faces allegations of touching women inappropriately. The Georgia Democrat appeared on MSNBC’s “Morning Joe” Thursday and stated that she believed Biden’s video statement released Wednesday. In the clip, Biden said he felt politics should never be cold and has sought to be affectionate. However, he has realized that we are now in different times and would do better. Social norms are changing. I understand that, and I’ve heard what these women are saying. Politics to me has always been about making connections, but I will be more mindful about respecting personal space in the future. That’s my responsibility and I will meet it,” Biden captioned the video. Lucy Flores is just one of the seven women who has accused Biden of touching them without consent. The former Nevada assembly member who alleges Biden smelled her hair and kissed the back of her head without consent in 2014. Abrams added that perfection could not be the standard by which people were held. She was in favor of accountability but leaving room for people to make their mistakes. “We cannot have perfection as a litmus test. The responsibility of leaders is to not be perfect but to be accountable, to say I’ve made a mistake, I understand it and here’s what I’m going to do to reform as I move forward. And I think we see Joe Biden doing that,” she said. Abrams was also mindful that Biden may soon enter the 2020 presidential race. She said voters would ultimately decide Biden’s fate. In recent weeks, there was speculation she would be announced as his running mate but she denied that to MSNBC. 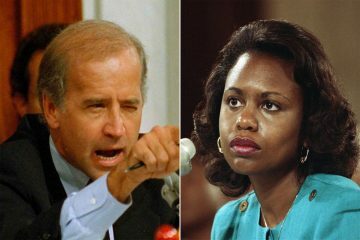 She stated that Biden never asked her to be a part of a joint ticket. Not only was it speculation but Abrams affirmed that her goal was not to enter the race as a second choice. 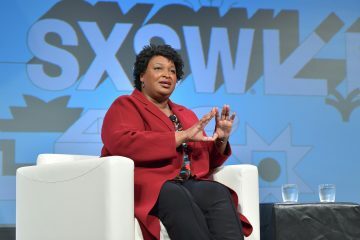 “I do not believe you run for second place and I do not intend to enter a presidential race as a primary candidate for vice president,” Abrams said. Watch some of her “Morning Joe” appearance below.